Replace your old lighting with a modern LED lighting that provides a feeling of space, coziness and warmth. At the same time you save a lot of power. Please see here some more examples of “Before” and “After”. 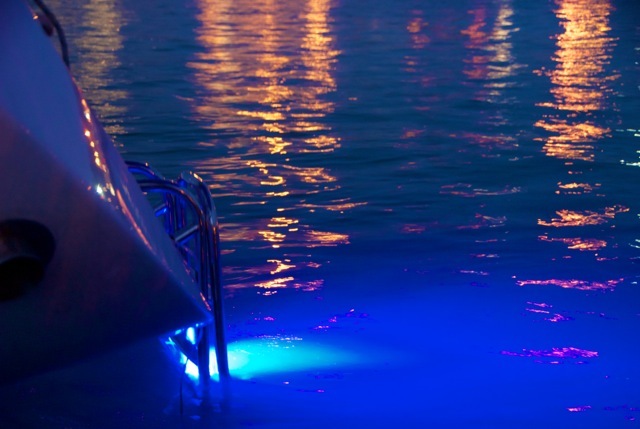 Today’s LED technology offers amazing possibilities to create your own environment. It’s easy, flexible and very cost efficient. Not long ago, when you wanted light, you bought a lamp. If you needed more light, you bought two or more. But you were hardly allowed to leave them on for too long, otherwise they would drain the batteries. Today, this is history. With the new LED technology, it is all so much more creative! 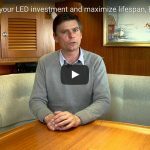 You can place LEDs in spaces which were unthinkable of not long ago due to heat or moisture: in confined spaces, under or inside cupboards, along the floors, in drawer or even outside. In other words: Atmosphere and a feeling of space are created with light, not lamps. Typically, the light sources themselves are even hidden as much as possible, while leaving just a few very beautiful lamps visible for decoration purpose. 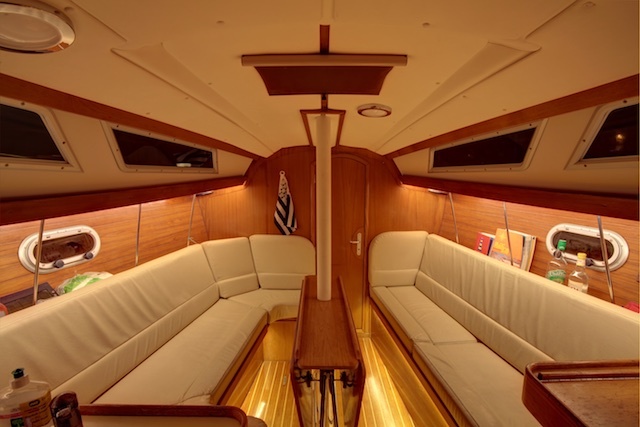 Interior lighting has become an expression of yourself and is adjusted to the ongoing activity: cooking, cleaning, reading, eating, navigating, sailing or cozy nights in the salon while the rain and wind is hauling outside. The main keys to create this activity-oriented lighting are many strategically placed light sources and the use of dimmers. If you follow a few steps, it’s not difficult! 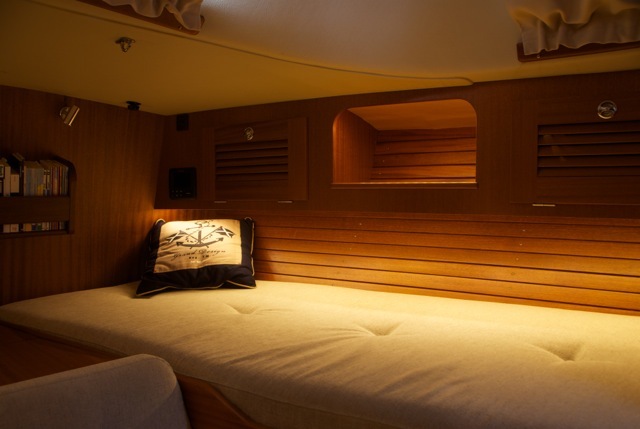 To create volume, illuminate the edges of your cabin. Not the individual light sources should be seen, but the environment they actually illuminate. Look how airplanes and modern high-speed trains are designed: Homogeneous light illuminates the edges of the cabin, avoiding any “light dots”. 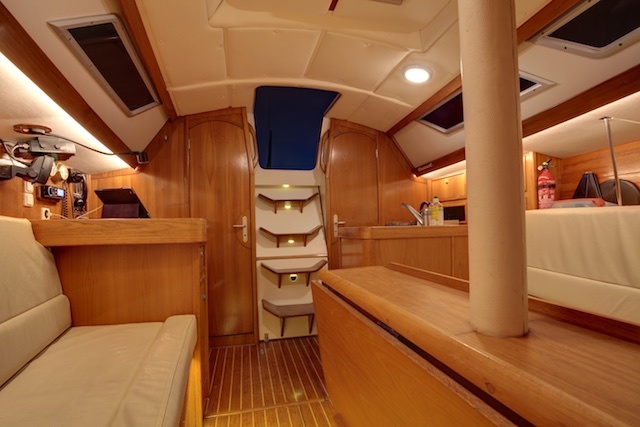 Not only the sides should be lit up by indirect light, but also the ceiling and the flooring should be defined, e.g. 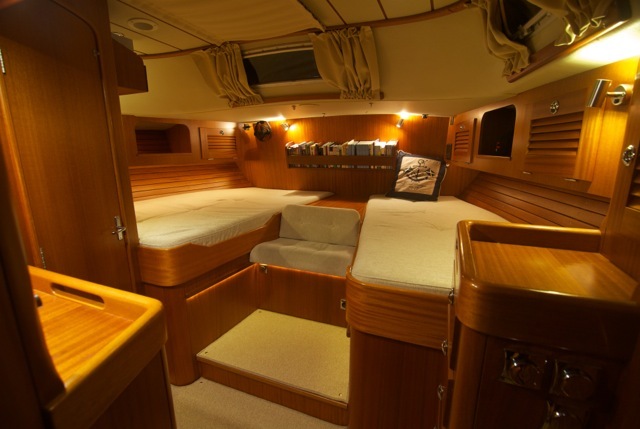 with a light over the main bulkhead and strings along the floor. 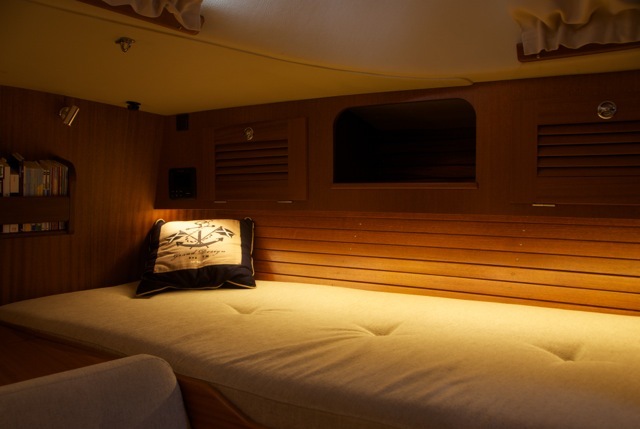 This flooring light is also perfect for night sailing, by the way. Be especially careful with dark corners and areas, such as inside or under cupboards. Avoiding any of these dark “holes” drastically enhances the feeling of space. 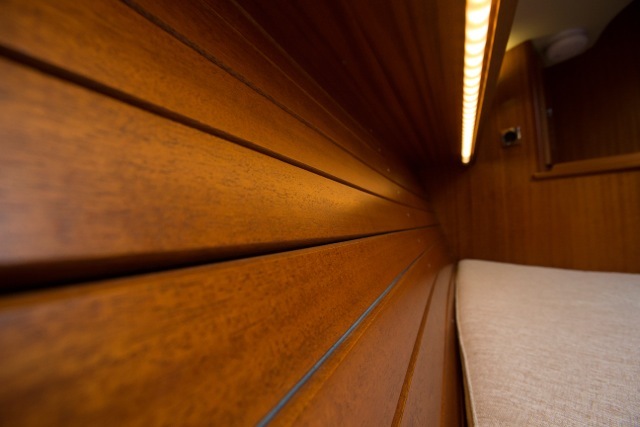 One or two spot beam power-LED’s are used as downlight from the ceiling to shine onto the wooden salon table, which, in turns, spreads its warm tones back onto the ceiling. 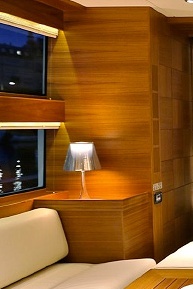 To allow true wooden colours to be reflected, an LED with a high Colour Reflection Index (CRI) is needed. 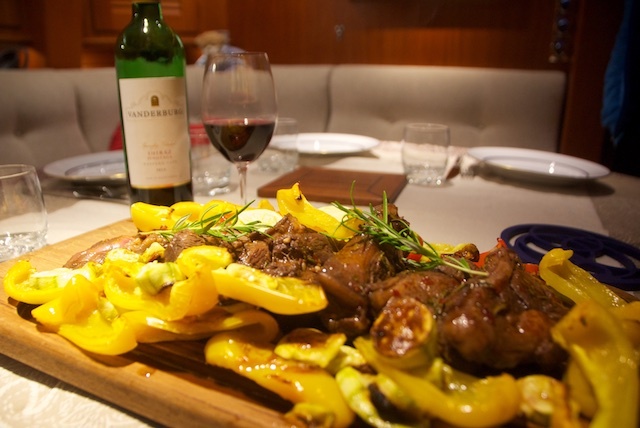 These spot beams also give a great working light on the table, by the way, and dimmed down, these are the ultimate lighting for eating. The wonderful light by Båtsystem obviously has a side effect as well, namely that it lights up the food (and human faces, by the way) in natural beautiful colours. 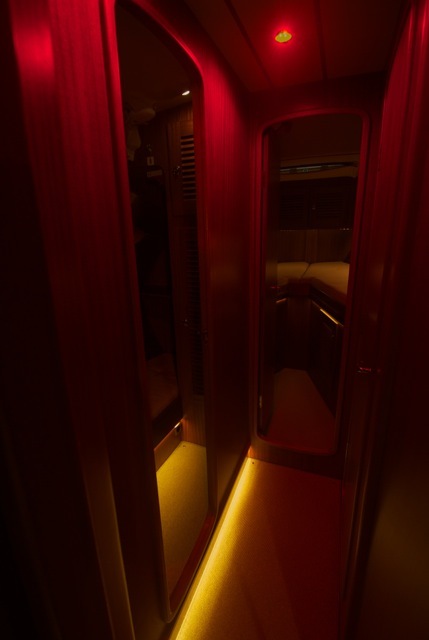 Using Power LED spot beams, there is no light shining into your eyes; just the areas to be illuminated are lit up, which, in turns, lights up the entire salon. 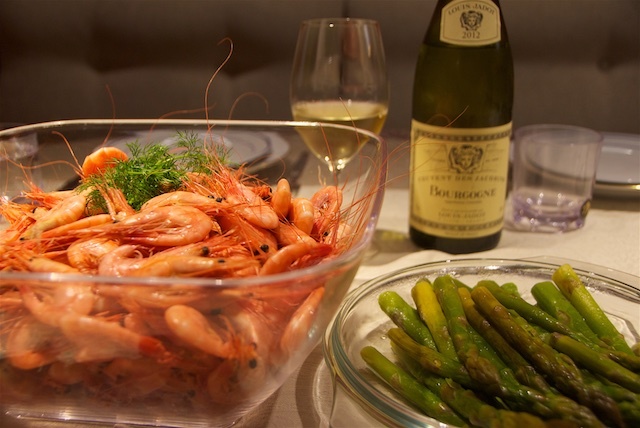 The below photos were taken with the Båtsystem LED spot beam lights alone. No flash or halogen was used. 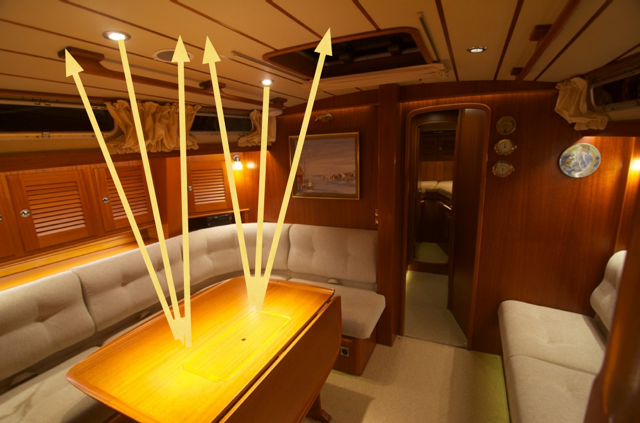 The Power LED-lights come in three different beam angles: 50°, 30° and 15°. Which angle should you choose? Easy! 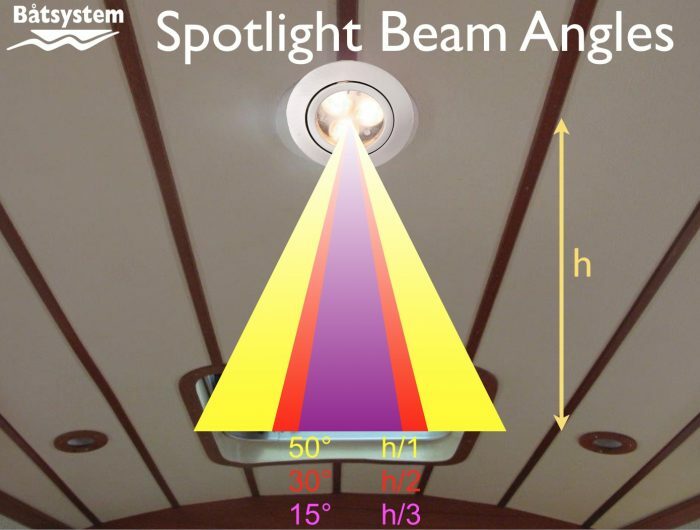 If you choose the 50° spot beam angle, an area approximately as wide as the hight of the light above the surface is lit. 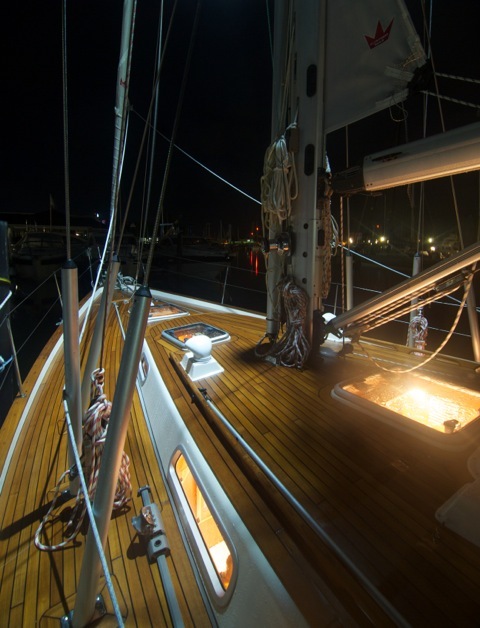 Choosing 30° an area approximately half of the hight of the light above the surface is lit. And, finally, choosing a 15° angle, an area approximately one third of the hight of the light above the surface is lit. In other words, just take the hight of the light above the surface and either divide it by one, two or three in order to get the the corresponding diameter of the beam on the surface! The Neptun Power LED is tiltable +/- 30° so it does not have to sit exactly over the table and you can use your existing holes from previous ceiling lamps and still lit up the table. 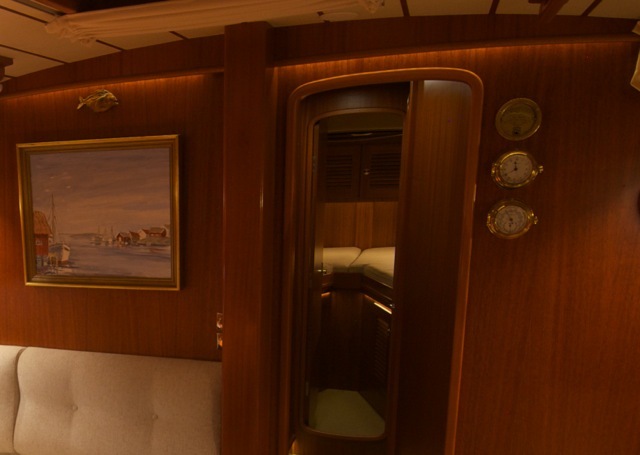 What is also possible is to tilt it to such an extent that you can even light up the bulkhead, possibly decorated with a painting. It is a really cool thing to have your salon illuminated indirectly by a painting rather than by light alone. 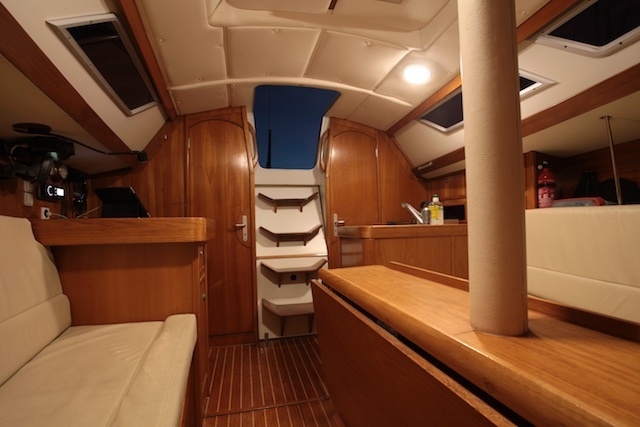 Again, the high CRI and a spot beam of 15° are the reasons why this works with Båtsystem lights. 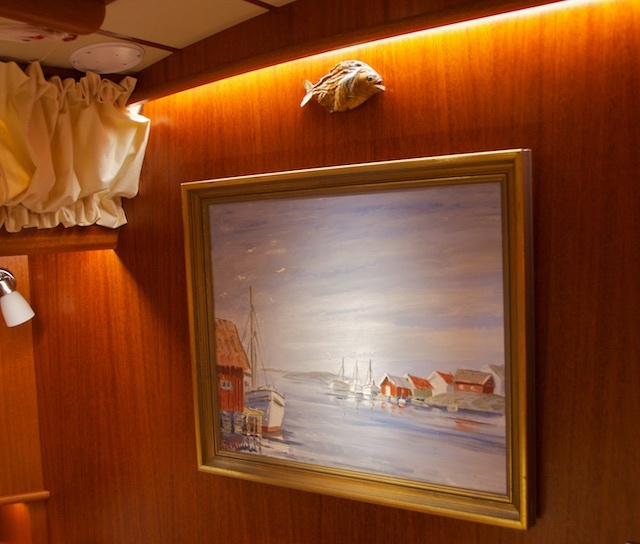 A tilted 15° Neptun Power LED illuminates the painting on the bulkhead onboard Regina Laska, spreading indirect light into the the salon. Cool! The eye is attracted to light spots. 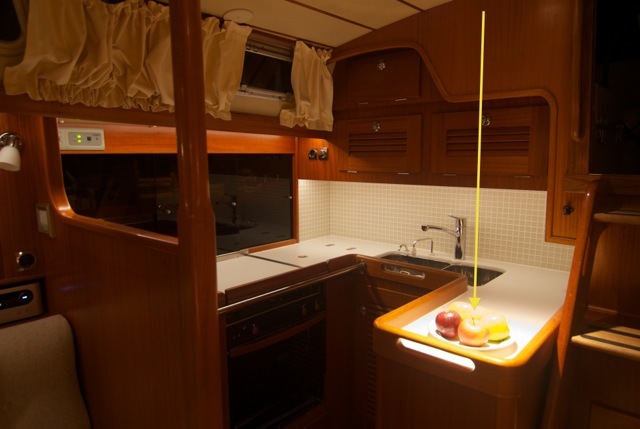 Carefully choose what you wish your eyes to be drawn to and use spotlights to highlight these, such as the worktop in the galley or a painting on the bulkhead. So far, we have only designed with light, avoiding to show any light-sources. 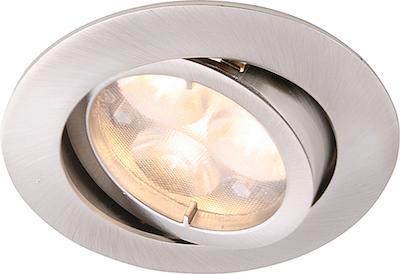 Chose a couple of high-end salon lights or reading lights as your special accessories. Create your own atmosphere by means of dimmers, just as on a theatre stage. 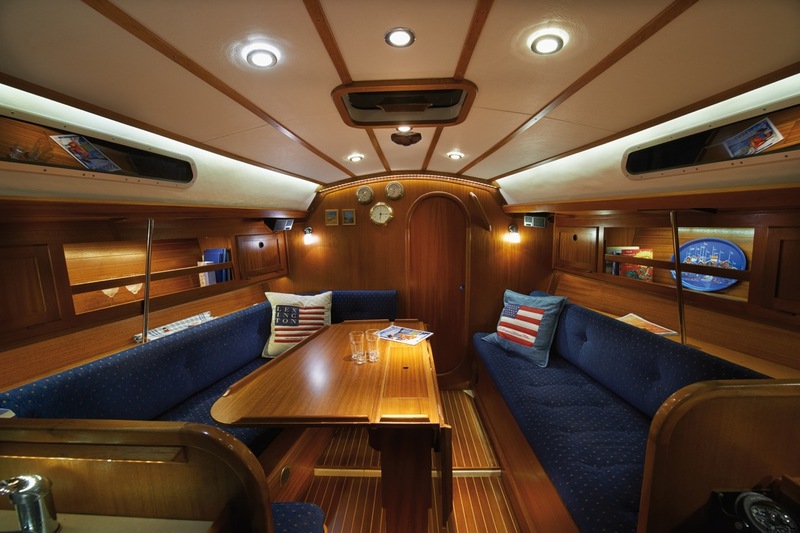 Depending on your mood or task, you get activity-oriented lighting, depending on if you work in the galley, eat or just relax with a book in the cozy salon. Choose LEDs that are inter-switchable between red and white and place these at strategic places, such as in the head area. 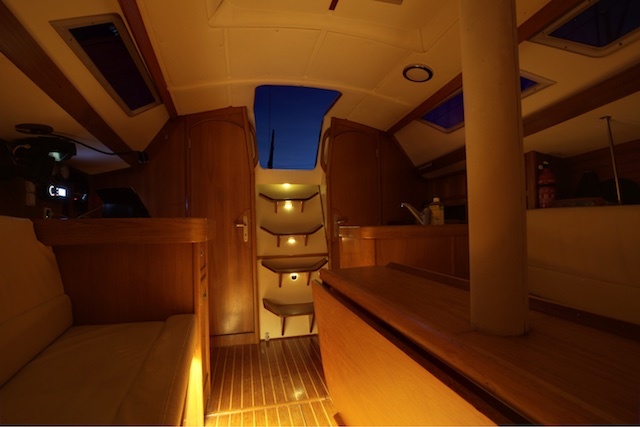 Dimmed flooring lights make a perfect night light as well – also while at anchor or in marinas. 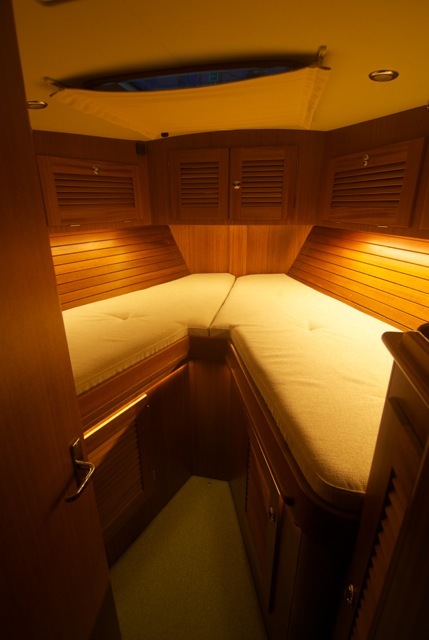 Use special bright functional LED lighting in areas that need to be lit up to a maximum, such as the engine room, cupboards, anchor lift compartments or deck lights. 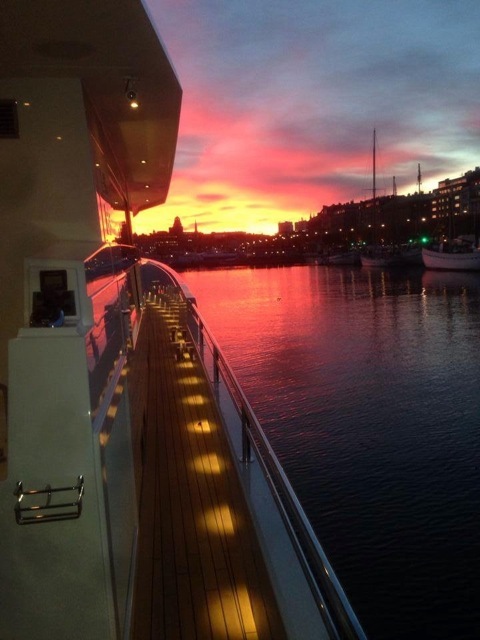 To create the little extra, courtesy lights such as dots on deck areas or underwater light can be used for entertainment and to create a personal touch. In order to explain how light works in reality, I have made some videos to illustrate the effect of light onboard. See here my videos in German and English languages explaining how space, warmth and atmosphere can be created by means of LED light design. In order for you to test before you invest, you can buy a small kit of testing lights consisting of a variety of different indirect lighting and a couple of ceiling lights, including the very popular Power LED. The kit comes with a 230V/12V tranformer, a dimmer and two switches. 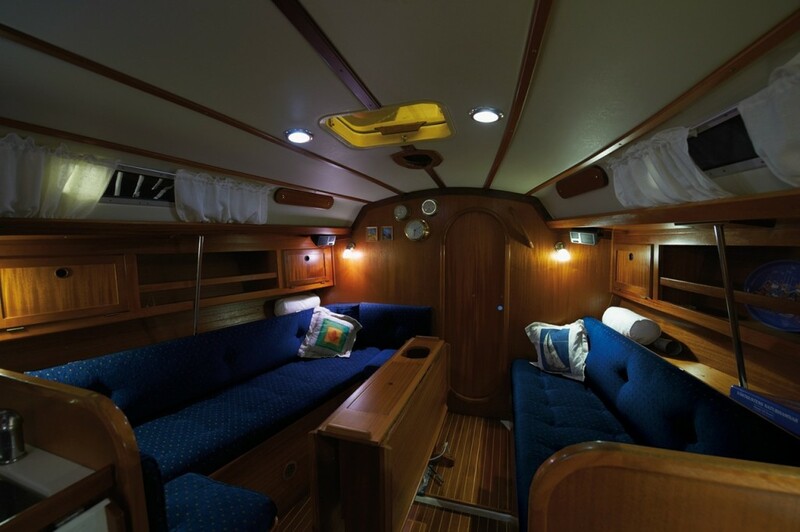 With this kit, you can try out different light settings in your own boat so you know you order the right lights for the right purpose. LED lights are sensitive to voltage spikes and should not be exposed to voltage over 12.5V. 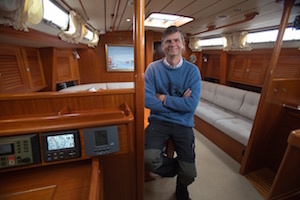 While charging the batteries, however, the voltage is considerably higher and spikes are also experienced when using heavy loads such as a windlass. Therefore it is important to protect your LED lights. This is either done by making sure that the LED lights have a built in stabilizer (typically 8 – 30V) or, even better, to install an DC-DC stabilizer which continuously ensures a voltage of no more than 12.5V. 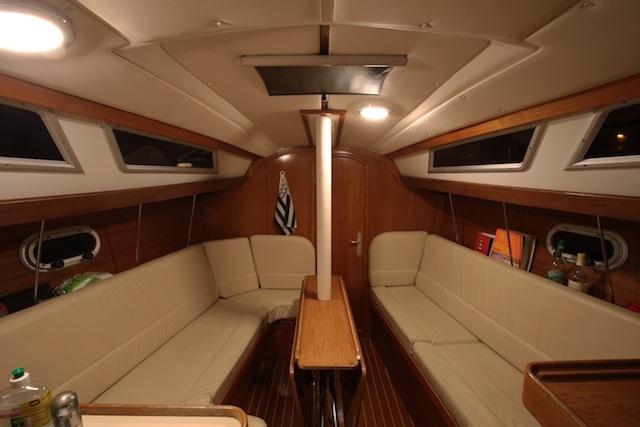 This is especially important on 24V boats and when installing LED tapes, which do not have a built in stabilizer. · Protection of fast transients on the input and output. · Overvoltage protection for long-term overvoltages. · Short circuit protection on output and input. If you are interested in finding your closest supplier of LED Lighting by Båtsystem, please check on www.batsystem.com.